When my granddaughter Aubrey hears music, she loves to dance. And she’s only one. She loves to listen to the music on the iPad, and this makes it easier for her. The Magic Moves Electronic Wand has ninety fun, physical commands, twinkling light shows, and 26 musical styles to get your little one moving. Do you remember the game Simon, where you have to repeat the lights? Well, the Magic Moves Electronic Wand is similar with the physical commands. Since Aubrey is only one, she doesn’t understand any of that yet, but as I said before, she loves music and the fact that this toy requires lots of movement by kids in order for it to work is an added bonus. Fun interactive encouragement with commands like “float like a butterfly, “wiggle like a worm” or “scurry like a chick” are sure to have your child moving and giggling in no time. A lot of parents were confused whether this was a real microphone, which it is not. The wand does encourage kids to sing and dance and they may use it as a microphone, but it is just a wand! Kids in the age range this toy is for, usually play with a toy for a couple minutes and forget about it. But my granddaughter played with the Magic Moves for a really long time. I was actually amazed at how long it kept her attention. I think this is something that she will be able to use as she grows. It will help with hand and eye coordination, following directions, and keeping active. When I first gave it to my granddaughter, my son was getting a little annoyed because it was a little loud. Luckily, you can adjust the volume to a softer setting and she was still happy with it. It is very lightweight and takes 3 “AAA” batteries. You can connect with Educational Insights on Facebook, Twitter, YouTube, Pinterest and Instagram. Sign up for their newsletter, so you can stay on top of new items coming out. 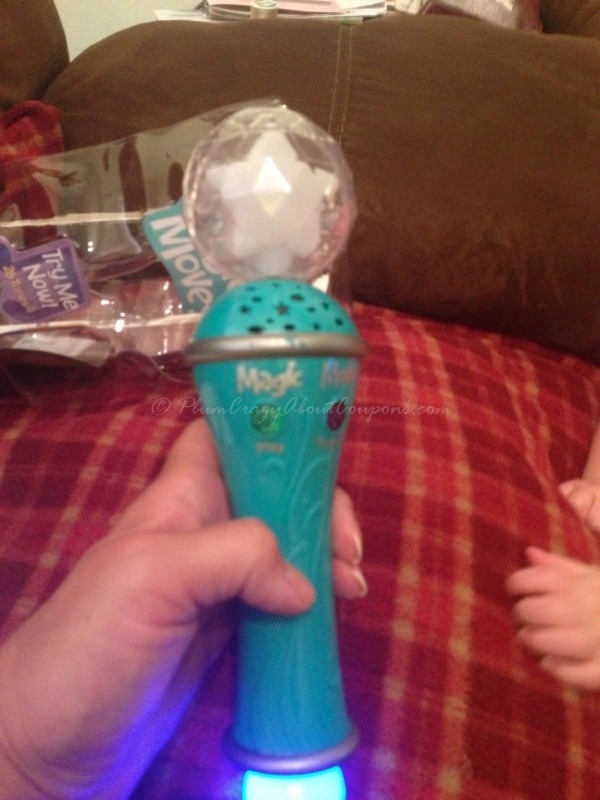 The Magic Moves Electronic Wand can be purchased on Amazon. This would make a great stocking stuffer for your little one, but hurry because they are going fast!